The bird of the photography does not have those colors by a whim of nature or because someone has painted it a half and has forgotten the other. Its fairytale appearance responds to an extraordinary rarity, because in reality this northern cardinal is half male and half female. The white plumage of its right corresponds to its feminine side, and the red on the left, to the male side. This bird was discovered some years ago in Rock Island, Illinois (USA). Researchers already knew that such cases exist in nature, including insects, crustaceans and birds. These organisms, called gynandromorphs, exhibit characteristics of both sexes, but the opportunity to study one of them is not easy and had never been done before for a long time. 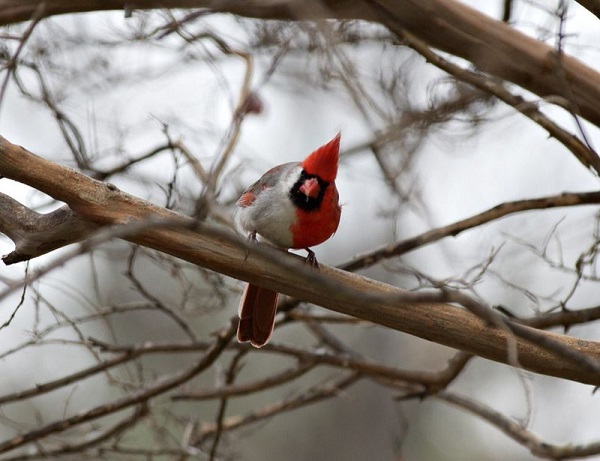 Scientists decided to follow the little cardinal for 40 days between December 2008 and March 2010 to see how its life was going in spite of its curious identity, and have now published their findings in The Wilson Journal of Ornithology. They observed how it interacted with other birds and how they responded to the calls that they had recorded. It turns out that such ambiguity did not bring anything good to the animal. The cardinal led a lonely life, was single and they never heard it sing. Although at least congeners also were not especially merciless with it for its differences nor entered into competition. 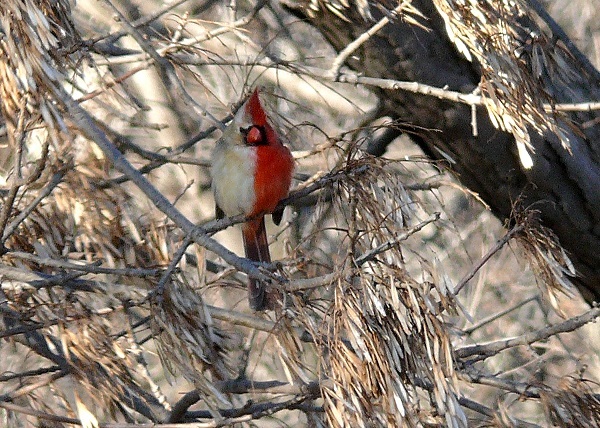 Interestingly, another gynandromorph cardinal sighted briefly in 1969 had the opposite plumage: red male plumage on the right and white female feathers on the left. Variety is always wide.